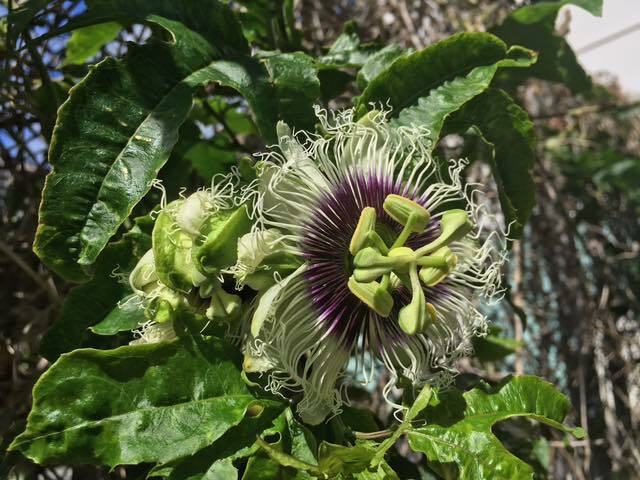 This is Lilikoi-----also known as Passion Fruit. Shown growing at Madre Chocolate, O'ahu, Hawaii. Nat Blatter is also growing vanilla (which also originated in Mesoamerica-and must be hand pollinated).